These Product Terms & Conditions shall be governed by and construed in accordance with the laws of Malaysia and any disputes will be decided only by the Malaysian courts. If any of these Product Terms & Conditions are held by any court of competent authority to be unlawful, invalid or unenforceable, in whole or in part, this will not affect the validity of the remaining Product Terms & Conditions which will continue to be valid and enforceable to the fullest extent permitted by law. www.zuppa.com.my/zuppamarket (“ZuppaMarket website”) is owned and operated by Zuppa Sdn Bhd (“Zuppa”). Please read these Product Terms & Conditions (“Product Terms”) carefully as they affect your rights and liabilities under the law and set out the terms under which Zuppa makes the products and services (“Product”, “Services”, “Item”) available to whom is viewing or interacting with this site (“You”, “Customer”, “Customers”). We can receive orders in the form of any written modes of communication such as Purchase Orders (limited to selected Customers with Corporate Accounts only), emails, SMS and including messaging platform Whatsapp and through our website e-commerce platform and more and will treat them as official order (“Order”) from Customer. We reserve the right to refuse any order Customers place with us. We may, in our sole discretion, limit or cancel quantities purchased per person, per household or per order. These restrictions may include orders placed by or under the same customer account, the same credit card, and/or orders that use the same billing and/or shipping address. Prices for our products are subject to change without notice. We reserve the right at any time to modify or discontinue the products or services (or any part or content thereof) without notice at any time. We shall not be liable to any Customers or to any third-party for any modification, price change, suspension or discontinuance of the products and services. Please note that the prices on ZuppaMarket website are only approximate. The total price shown in the Customer’s shopping cart and order confirmation email may differ from the Customer’s final bill. The actual price the Customer pays will be the price charged at the time the Customer’s order is picked for delivery. The actual order value cannot be determined until the day of delivery because the prices stated on the website may vary when your order is picked and delivered. 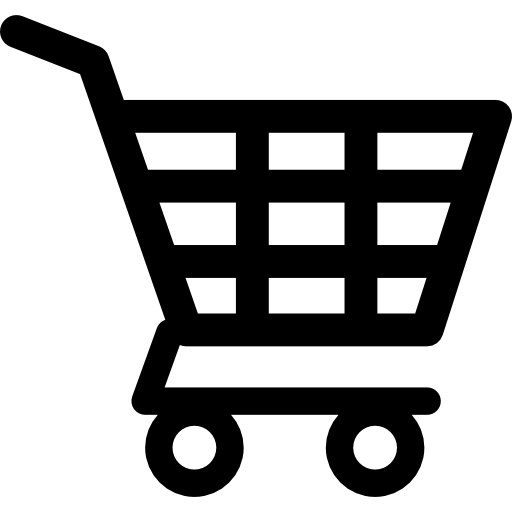 At the time of delivery, the price of certain items may differ from the price quoted on the ZuppaMarket website. If the value of the items delivered is higher than the value stated in the order confirmation or if the Customer considers that the difference between the price charged and the approximate price shown on the ZuppaMarket website is unacceptable, the Customer has every right to reject the goods. The amount for the goods that are rejected shall not be charged to the Customer’s payment card, if the Customer has provided payment card details in advance in order to pay online. When requesting goods by weight, Zuppa reserves the right to supply goods with a weight difference. However Zuppa shall make every effort to ensure the weight difference is minimal and as close to Customer’s request. The cost of the services or assembly is not included in the price of the goods. Zuppa will inform the Customers should there be any charges for services or assembly. You agree to provide current, complete and accurate purchase and account information for all orders and purchases made at the ZuppaMarket website. You agree to promptly update your account and other information, including your email address and credit card numbers and expiration dates, so that we can complete your transactions and contact you as needed. Certain products or services may be available exclusively online through the website. These products or services may have limited quantities and are subject to return or exchange only according to our Return Policy.. The availability of the goods presented on the ZuppaMarket website depends on stock in warehouse and Zuppa does not guarantee the availability of goods. The Customer shall always be notified in the delivery order document if the goods requested are not available or cannot be delivered. Zuppa shall make every effort to offer a substitute item which is closest in terms of price and type to the originally requested item. The Customer shall be entitled to refuse to accept the substituted goods either in full or partially. The amount for the goods that are not accepted shall not be charged to the Customer’s payment card, if the Customer has provided payment card details in advance in order to pay online. For Customers who places Order with Purchase Order is required to submit to Zuppa a revised Purchase Order by excluding the items which are unavailable or not delivered. There will be no contract of any kind between the Customer and Zuppa unless and until Zuppa actually dispatches or delivers the goods to Customer. Customer’s order is an offer to buy from Zuppa. Nothing that Zuppa does or says will amount to any acceptance of that offer until Zuppa actually dispatches or delivers the goods to Customer. At any point up until then, Zuppa may decline to supply the goods to Customer without giving any reason. At the moment that the goods are dispatched or delivered (and not before), a contract will be made between Zuppa and Customer, and Customer will be charged for the goods. The ZuppaMarket service is available for non-commercial and domestic use only. Zuppa reserve the right to limit or prohibit orders that, in our sole judgment, appear to be placed by dealers, resellers or distributors. Delivery of the requested items shall be completed within one (1) to four (4) work days from the date of the Order is processed. Order cut-off time is 12pm daily. Order received after the cut-off time will be processed on the next work day and delivery lead-time shall be calculated based on the Order process date, not the Order received date. Delivery will be made to the address specified by Customer on the completed Order form. Delivery service is available in selected areas only and we reserve the right to impose a minimum Order value and or delivery fee on any Order prior to the Order being accepted. To check the minimum Order value for your area and whether we deliver in your area, you may find out from here. If we are experiencing a high volume of Orders, shipments may be delayed by a few days. Please allow additional days in transit for delivery. If there will be a significant delay in shipment of your Order, we will contact you via email or telephone. Whilst we try our best to deliver all Customer’s Order in the above-mentioned timeline, Zuppa will not be liable if it fails to do so in part or in full due to circumstances beyond its control. Zuppa has the right at any time to sub-contract all or any of its obligations for the sale/delivery of the Goods to any other party as it may from time to time decide without giving notice of the same to the Customer. Zuppa or any other appointed third-party dispatch/transporter will deliver Customer’s Order to the main entrance of the delivery address. At Customer’s request, the driver may carry Customer’s Order into the delivery address, for example, to a particular floor in a building or into the pantry but only if : a) the driver has the Customer’s permission, b) it is safe and practical for the driver c) there is no obstacle preventing entrance, d) the place is accessible by an elevator. Zuppa always reserves the right to deliver only to the main entrance of the delivery address. For Order and purchases made with credit card/debit card at the door, the cardholder must be present. If Customer is not available to receive the goods at the agreed place specified by the Customer, we will send an email notification of attempted delivery and Customer will need to contact Zuppa to re-arrange delivery. If Customer requests for redelivery, Zuppa is entitled to charge for providing the service. Before acknowledging receipt of the delivery, Customer shall be entitled to examine the product supplied to verify the products are as per the intended quality and specifications. If they are not as per quality and specifications, Customer shall be entitled to reject partial OR the full products present in the delivery and will not incur additional charges. If delivery has been received and acknowledged but later found out those same items to be not as per sample, quality and specifications, returns to Zuppa can be made only within 7 calendar days of receiving of said items. You should please take reasonable care of the goods whilst they are in your possession (reasonable care includes inspecting goods, but would not extend to your opening certain goods, for example, sealed packaged food and sealed cleaning products). All items returned must be in their original packaging, unopened, unused, and have not been consumed otherwise Zuppa is entitled to reject the items. Items which are not subjected to exchange or the return terms and conditions will be indicated clearly in the ZuppaMarket website, email or quotation provided. Customer’s satisfaction is very important to us and we want you to be satisfied with your purchase made from the ZuppaMarket website. We understand that sometimes you may change your mind and need to return the products purchased. The policy below details out when and how you can go about it. If you change your mind, we offer a refund or exchange of certain goods within certain time periods as stated below. We do not accept exchange or return for this product category. Please refer to the manufacturer/distributor directly for any warranty matters. You may hand any faulty or damaged goods back to the driver at the time of delivery for a refund or return to Zuppa (with proof of purchase) within 7 calendar days of delivery for a refund or exchange. Customer shall return goods at his/her own cost. Goods returned shall be refunded at the price which the Customer had paid at the point of delivery. For the avoidance of doubt, this provision does not affect the rights of the Customer for non-acceptance of substituted goods. Customer can cancel or change any of Customer’s current Orders within 24 hours from the time of placing the Order. If in an emergency, the Customer needs to cancel the Order after this time, Customer may contact us and we will try our best to help. In the event that we make a change to or cancel an Order, we may attempt to notify you by contacting the e-mail and/or billing address/phone number provided at the time the Order was made. We accept Visa, Master and Debit Cards issued by banks in Malaysia. You can pay at the door by card. In this case you will not be charged for your Order until after your Order has been delivered to you. Full payment card authorisation for the amount corresponding to the total price of goods (including service charges) that the Customer has requested shall be made on the day the goods are delivered to the Customer. Due to safety reasons, our drivers or any other sub-contracted transporter companies are not allowed to received payment in cash form. We offer credit facility to Customers with Corporate Accounts with prior approval. Customer with credit term must pay each invoice within the 30 days from the invoice date, as stipulated in the invoice unless stated otherwise, to run from the date of Statement of Account. The time for payment is a material term of any contract between Zuppa and Customer. Recover from you in addition to the outstanding amount, all reasonable cost and expenses incurred by us in the collection of the outstanding amount. Zuppa shall be under no liability in respect of any defect arising from unsuitable or improper use, defective installation or commissioning by the Customers or third parties, fair wear and tear, wilful damage, negligence, abnormal working conditions, defective or negligent handling, improper maintenance, excessive load, unsuitable operating materials and replacement materials, poor work, unsuitable foundation, chemical, electro-technical/electronic or electric influences, failure to follow Zuppa’s instructions (whether oral or in writing) misuse or alteration or repair of the Goods without Zuppa’s approval. For products and services warranted or rendered by the third party/manufacturer, please review carefully the third-party’s/manufacturer’s policies and practices and make sure you understand them before you engage in any transaction. Complaints, claims, concerns, or questions regarding third-party products should be directed to the third-party/manufacturer. Terminate any Contract so affected with immediate effect by written notice to the Customer and Zuppa shall not be liable for any loss or damage suffered by the Customer as a result thereof. We reserve the right, at our sole discretion, to update, change or replace any part of these Products Terms and Conditions by posting updates and changes to our website. It is your responsibility to check our website periodically for changes. Your continued use of or access to our website or the Service following the posting of any changes to these Product Terms and Conditions constitutes acceptance of those changes.